Rachael Warecki’s story “A Month of Drunken Sundays” appears in Midwestern Gothic Issue 5, out now. I’ve been writing since I was 7 years old. I started off writing short stories about anthropomorphic animals, and then segued into (very bad) novel-writing when I was about 12, around the time I became fully aware that people could write novels and get them published. I’m still writing novels—hopefully better than the ones I wrote in my teens—but I’ve lately been focusing on short stories again. The short answer is that when someone yells “O-H!”, you bet I’ll respond, “I-O!” I’m a California native, but my mom was born and raised in Lima, Ohio, and my dad’s family immigrated to Cleveland when he was young, so my parents’ house was a small slice of the Midwest in the middle of the West Coast. Most of my extended family, including both sets of grandparents and many of my aunts, uncles, and cousins, still live in Ohio, so we visit when we can. I’m also a rabid Cleveland Indians and Ohio State Buckeyes fan—so much so that many people just assume I’m a native Ohioan because those aren’t exactly teams that spawn bandwagon fan bases. There’s something wonderfully quiet about certain parts of the Midwest. On one hand, it’s the kind of quiet that allows ideas to ruminate and settle, but there’s also an ominous quality just beneath the surface that could raise its head in an instant. It’s a beautiful stretch of country, but there’s also a lot of poverty in some areas, and then there’s the threat that a tornado could destroy everything you have, even if you don’t have all that much to start with. But folks in the Midwest seem to get right back up when they get knocked down–at least my mom’s family does–and I think that’s the kind of fortitude that writers need in order to keep writing and submitting in the face of rejection. Also: a few years ago at the Iowa Summer Writers’ Festival, I heard a meteorologist on TV say, “It’s always tornado weather!” Which is a terrifying idea, but I sat down that day and wrote urgently. That should actually be my new motto: What would you write this afternoon if you knew a tornado was coming tonight? I think that people who aren’t from the Midwest don’t find the region as interesting or endearing as Midwesterners do, and there’s not really a schtick, for lack of a better word, that drives the Midwestern literary identity. Southern literature kind of embraces everything that’s dark and grotesque about the South—”A Good Man Is Hard to Find” and some of Faulkner’s short stories, for example—and you’ve got a number of really diverse writers coming out of the West Coast and New York City, so the identity there is one of continual freshness and novelty and surprise. But I feel like non-Midwesterners look at the Midwest and think: Well, it’s not as outrageous as the South and it’s not as diverse as California and it’s not as erudite as NYC, so what does it have to offer? It’s the same thought process that makes some people call all of the Midwest the “flyover states”—as if they’ve forgotten that Chicago’s in the Midwest, too. I do use social media to promote my writing, but I much prefer following writers who mainly post their witty thoughts and then promote their work almost as an aside. As I (hopefully) start to publish more, I’ll strive to be more like that, but since Midwestern Gothic was one of my first publications, I’m afraid I got a little excited about spreading the word. I had two stories picked up in a 60-hour period—I felt like a special snowflake. I have a lot of favorites, but since you’re making me choose: Ernest Hemingway’s The Sun Also Rises. Strawberry-banana smoothies. They’re technically not a food, but I’m the only person I know who has to set a monthly smoothie budget. David Foster Wallace. I interviewed him once when I was in college, during the period when I was least serious about my writing, and I should have asked him so much more than I did. Rest in peace, Dave. 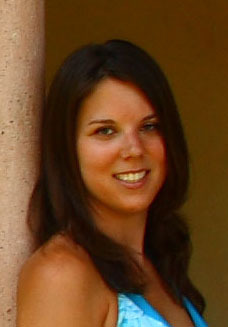 My website is http://www.rachaelwarecki.com/ and I’m on Twitter at @RachaelLaWriter.